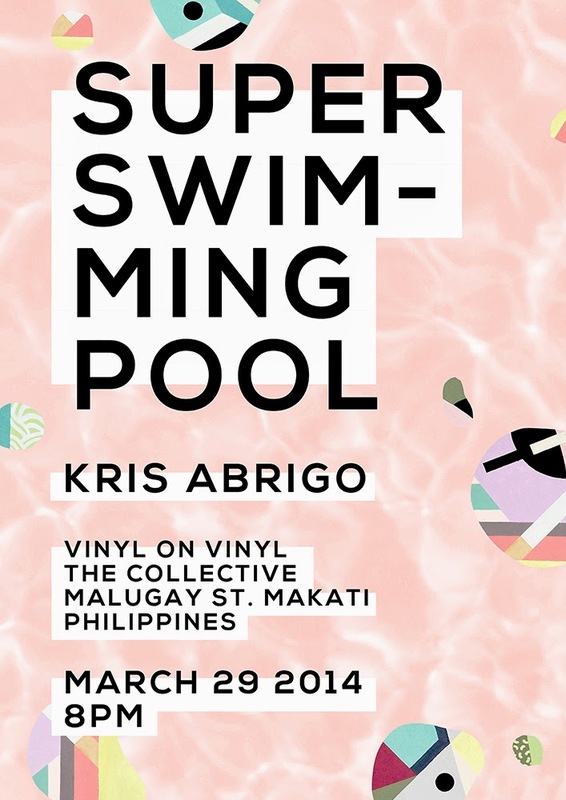 VINYL ON VINYL: MARCH EXHIBIT SPACE | Super Swimming Pool by Kris Abrigo on March 29! MARCH EXHIBIT SPACE | Super Swimming Pool by Kris Abrigo on March 29! It is safe to say that most, if not every fresh, wide-eyed, young artist who has wobbled their way into the belly of the creative beast has come across this statement at least once in their artistic journey: “Good artists copy, great artists steal.” It is an irony to cuff the statement with creativity, yet it is used to the point of cliché. We’ve become a culture of imitation, a sea of mirrors that reflect the next best thing. Dive into the pool of the non-originals and the lifestyle of the something borrowed. We are at the age of copy and paste. An age where it is believed that self-preservation leads to stagnation and the stolen perspective becomes its own work of art. Super Swimming Pool is a reflection of the art world where everything is inspired by something else and the only thing original is the vandalism of another. It is an exhibit that mimics the act of taking something that exists and making it your own, at the cost of swimming at the shallow waters of strained innovation and originality. In true Repro Pop (Reproduction of Pop) fashion, Kris Abrigo dives head first into a pool of borrowed ideas and reoccurring techniques, and gives the place a much-needed taste of their own medicine. Yet unlike still waters, Kris tampers with the stillness and creates a calculated turbulence. Warning: a slight distortion may occur.